Executive Chef Leon West was born into a family of eight children in Boston, Massachusetts in 1946. His extraordinary career as a chef started in 1962 when he was a busboy and dishwasher at the old Jonny’s Diner in his home town. While working at the neighborhood grocery store, Chef Leon learned how to order a substantial amount of product early in life. Chef Leon attended the Massachusetts Vocational and Technical School’s Culinary Arts Program. He received his on the job training with the Sheraton Hotel in Boston. Chef Leon was certified on July 14, 1970, by the Massachusetts restaurant Association. In 1978 , Chef West joined the staff of ARAMARK. He was promoted and transferred to the Ernest N. Morial Convention Center, New Orleans, where he assumed the responsibility of Executive Chef in 1983. 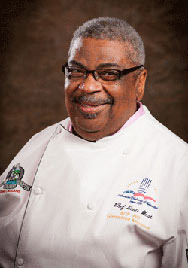 Chef West was with ARAMARK for the nineteen years, during fourteen of which he served Executive Chef at the Ernest N. Morial Convention Center. 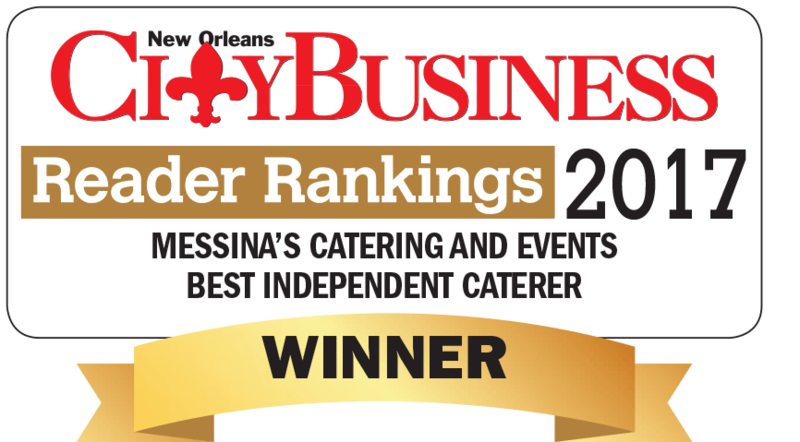 Chef Leon has been recognized among his peers, both locally and internationally, as one of New Orleans most talented chefs. Watch Chef Leon demonstrate his special technique for cooking New Orleans style “Shrimp & Grits” for the BEST CHEFS OF LOUISIANA event at Messina’s Terminal.